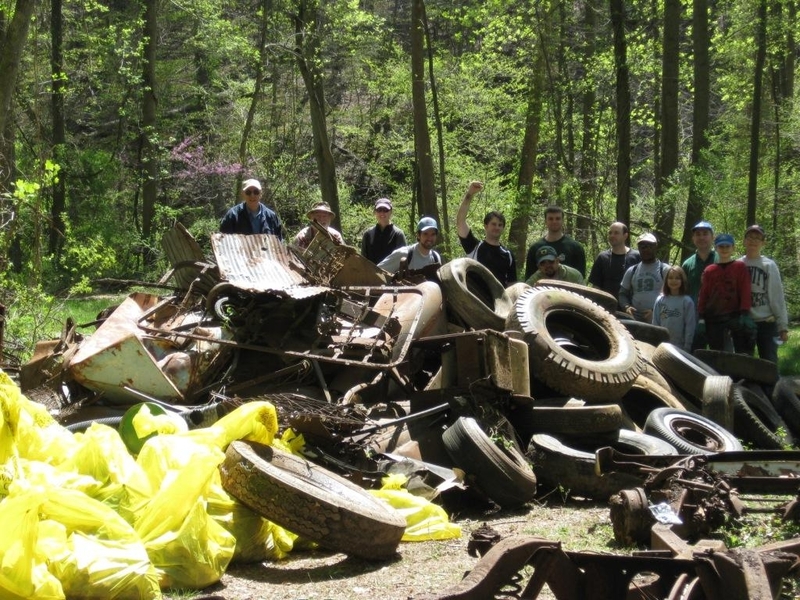 Volunteers make a difference during a stream cleanup at Holmes Run Stream Valley Park. We recently received an intriguing email from a youngster in the county, and it caught our eye because it showed an interest in the environment, an interest in knowing what the county is doing about environmental issues, and a curiosity about how he could help. All good qualities. All good questions. We hope we have good answers. The Park Authority does a lot to promote environmental stewardship and provides a number of ways for young people to help preserve and protect our natural resources. Here are some examples. One part of the Park Authority is fully dedicated to protecting, preserving and teaching about the county’s natural and cultural resources. That’s all they do. It’s the Resource Management Division. Those employees protect historic sites as well as wildlife and plants in the parks and teach others to do the same. One specific example is our Invasive Management Area program, which has won national awards for its work in teaching volunteers to remove non-native invasive plants from our parks and replace them with native plants. We also work with other agencies to protect soil and water and to teach people about watersheds. A good example is a recent reconstruction job that saved the wetlands at Huntley Meadows Park. Because environmental protection is such a big task, one of our major jobs is teaching stewardship – showing people how to take care of their resources. We do that through publications such as Parktakes, stewardship brochures, and our monthly E-Newsletter, ResOURces, through visits with people at big events like the annual 4-H Show and Carnival, and through hundreds of classes (click the Nature/Science box on that link). There’s also the Park Authority’s website, where there’s a blog, information about a Family Backyard program that teaches how to make your backyard friendly to wildlife, and a fun nature almanac. Our nature centers are terrific places for more information. They’re beautiful parks, and there are naturalists at those parks who can answer questions and help folks experience nature up close. If you really want to get into the nitty-gritty of what we do, check out the part of the Resource Management Division that we call the Natural Resource Management and Protection Branch. These are the guys who monitor the health of plants, seek out rare plants, assess the health of local wildlife, manage the wildlife in a way that keeps the animals healthy, preserve the quality of the water in our streams by rebuilding or revitalizing stream valleys if needed, partner with other agencies to protect air quality, study the human impact on land (graffiti, littering, vandalism, overuse or improper use of parks), and teach. One of the biggest teaching tools is a program called Meaningful Watershed Education Experience (MWEE). If you’ve been through a fourth grade or seventh grade science class in Fairfax County, you’ve likely been out at one of our parks as part of the MWEE program. The whole idea is to bring students into the parks to see, touch and hear the things they learn about in the classroom. If you’re in school, learn about the environment through your science classes. Remember, you’ve got a lifetime ahead of you to protect the environment. Visit our nature centers and talk with the naturalists there. If you don’t have a specific question, just ask them what’s happening with the plants and animals in the parks on that day. Consider volunteering, even if it’s just for a day or a couple of hours. The folks at the nature centers can tell you what jobs need to be done, and you can choose what you want to do. They are almost always looking for some help. Some people volunteer at a park on a regular basis, spending maybe two or three hours once a week or once a month at a park. A great way to volunteer for just a couple of hours is to help our Invasive Management program. Get a friend to join you and help other volunteers pull invasive plants out of the ground and plant native ones. Our website has a calendar that tells you when and where the IMA crews are working and explains how you can sign up. And get out to a park and have some fun! 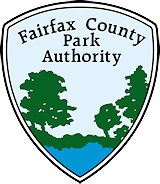 This entry was posted in Uncategorized on September 18, 2014 by Fairfax County Park Authority.